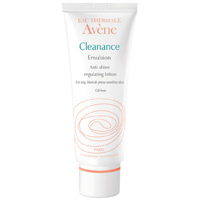 Cleanance Anti-Shine Regulating Lotion is a lightweight formula containing oil-absorbing micro-capsules that help to keep shine under control. As thermal spring water soothes and softens, glycol provides light moisture. Your skin stays matte and makeup stays put.